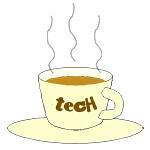 Torch « Tech bytes for tea? It’s Halloween today. Here’s a selection of ghouly apps for the occasion. There are apps for both BlackBerry smartphones and the PlayBook. All the apps can be downloaded from BlackBerry App World. Click on the screenshots to get to the app on BlackBerry App World. The world-famous Screen Muncher just couldn’t resist getting dressed up for Halloween as a blood-sucking vampire named Count Munchula! 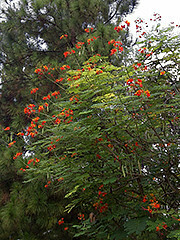 “Munch” your BlackBerry screen and capture it as an image to post directly to Twitter, share through email, or save for later! Screen Muncher lets you capture anything you see on your BlackBerry screen just like a desktop “print screen” on a PC. This funny, cute and useful app includes a very special “Count Munchula” sound effect, animation and vibrates every time you Munch a screen! Pumpkin Slider is designed to lock your BlackBerry and prevent any unwanted key press. Even if your BlackBerry is unlocked by accident, Pumpkin Slider still locks your phone and you do not need to worry about the Send key or any unwanted key pressed. Pumpkin Slider automatically locks your BlackBerry when the screen dims. Pumpkin Slider is fast to setup, easy to use and works with the Lock button on your BlackBerry. Ever wanted your own Jack-O-Lantern but didn’t know how to carve one? This app is a virtual Jack-O-Lantern for your BlackBerry to help you celebrate the Halloween season. You can change the Jack-O-Lantern’s face by swiping from the left or right on the eyes, nose, or mouth. You can also change the colour by clicking on the screen. Happy Halloween! Halloween Photo Editor is a powerful image processing app that turns your photos into unique Halloween themed art. Very intuitive and easy to use. even beginners will quickly learn how to create impressive Halloweenish effects! Gear up for your Halloween celebration with this amazing photo app! The app features 4 awesome Halloween filters, 16 unique Halloween themed photo frames and 11 cute clip art images. Vaporize as many ghosts of the same color as you can to get a high score, with cute halloween theme animations, bonuses, and sound effects. The more ghosts you tap at once, the more scores you will get. The more same color ghosts combo, the more scoresmultiply. The game features an autosave function on exit or phone call, and the PlayBook version also has global online support to post your scores on Facebook. Zombies, Ghosts, Mummies; oh my! Halloween Haunt is a 5 Reel Slot Machine that features up to 15 credits per line (up to 9 lines) – Changeable credit values ranging from 1¢, 2¢, 5¢, 10¢, and 25¢. Once the ‘High Roller Gauge’ is completely filled, you will gain access to even higher credit values; 50¢, $1, and $5. Slot machine symbols include ‘WILD’ and ‘SPIN & WIN’ symbols, which trigger the FREE SPIN feature. Earn your way to 50 trophies, purchase the 10 items in the gift shop, and work your way up to piles of cash like candy on Halloween! Wanna scare theguy in the next cube out of his wits? Look no further! With Halloween Sounds you can play endless pranks on friends and enemies alike. 15 spooky sounds and Spooky Soundtrack which plays a creepy soundtrack and adds scary sounds on top of it. The perfect soundtrack for handing out treats, or great mood music for a costume party. 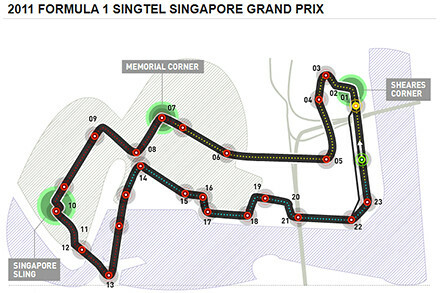 The Formula 1 comes to Singapore this weekend. Check out the F1 apps for the BlackBerry tablet or smartphones – both free on BlackBerry App World. Formula1.com 2011 app for BlackBerry smartphones. For BlackBerry smartphone users (device software 4.2.0 or higher), check out the Formula1.com 2011 app from the organisers of Formula 1 itself. Users can access information such as race results, championship standings, timetables, calendars, circuit data etc. The app streams real-time data directly from Formula One Management’s Technical Centre at the racetrack displaying the same information supplied to the teams from every session, putting you right at the heart of the action. The app also sends you push notifications and keeps you updated even when the app is closed. For BlackBerry PlayBook users, check out the Maxis F1 2011 for BlackBerry PlayBook app from Infindo Technology. Users can get detailed information for all the races with exclusive live commentary, top stories, results, schedule, standings, drivers/teams/circuit info etc. Both apps are free and valid for the entire 2011 F1 season. 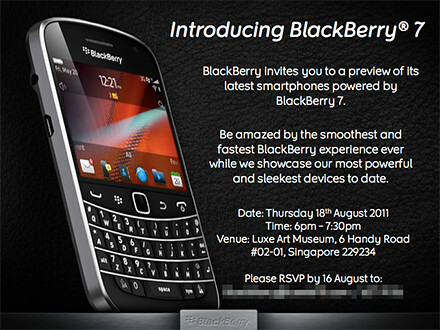 The new BlackBerry Torch 9810 and 9860 will hit the shelves in Singapore next week on 22 September 2011. Pre-orders for both BlackBerry 7 OS based smartphones can be placed with SingTel from today. 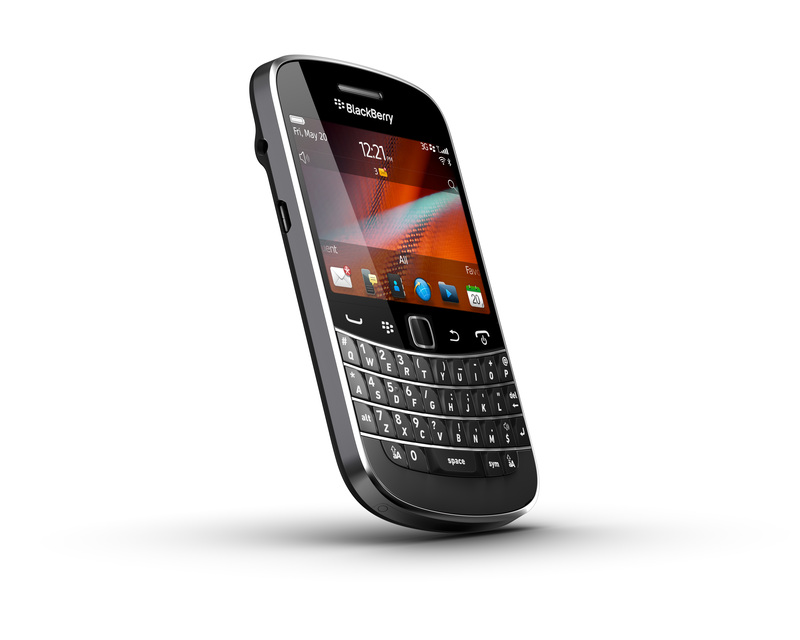 Pre-order the BlackBerry Torch 9810 or 9860 online from today. The two new Torches were first introduced by Research In Motion (RIM) in early-August and unveiled in Singapore in mid-August together with the Bold 9900. 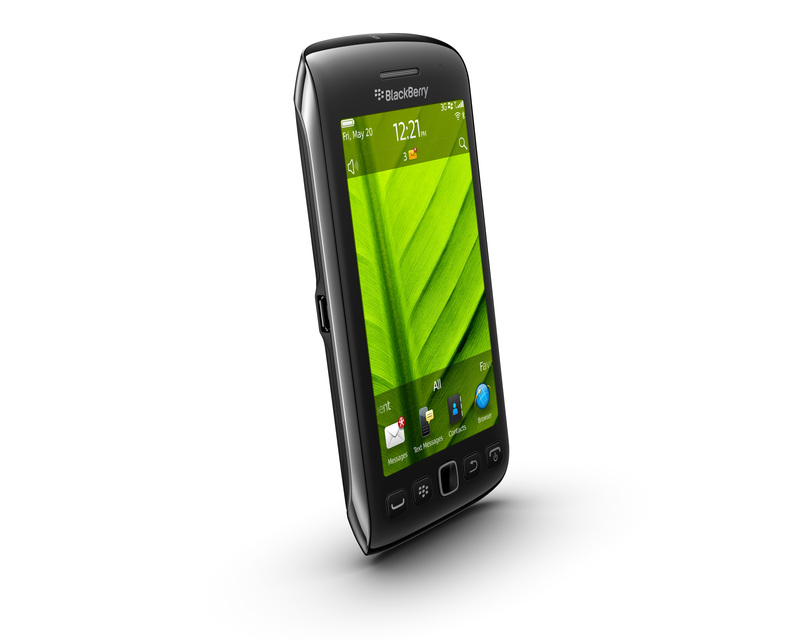 The BlackBerry Torch 9860 smartphone offers fast and fluid performance in a stylish new all-touch design. With a new 3.7” display – the largest ever on a BlackBerry smartphone – the new all-touch BlackBerry Torch 9860 smartphone is optimized for high-quality multimedia, web browsing and gaming; whilst offering the real-time communication and collaboration lauded by BlackBerry fans. 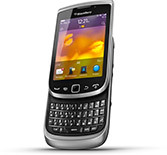 The BlackBerry Torch 9810 is an evolution of the BlackBerry Torch 9800. The new model is faster and more fluid with high performance hardware features while the new BlackBerry 7 OS delivers an enhanced multimedia experience. 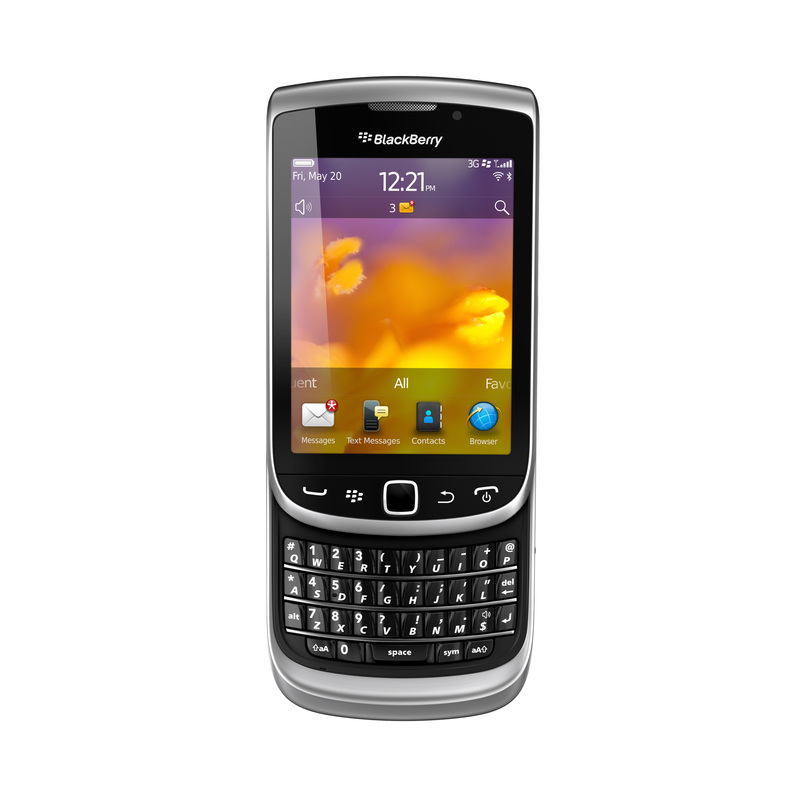 Featuring a large 3.2”, high-resolution touch display and a distinctive BlackBerry keyboard that easily slides out to allow fast typing, the BlackBerry Torch 9810 offers the best of both worlds. RIM launched three new smartphones based on the new BlackBerry 7 operating system in Singapore today. The phones are available for pre-order and will hit the shelves in Singapore on 1 September 2011. The three new BlackBerry 7 phones were launched in Singapore today. The three smartphones are the Bold 9900, and the Torch 9810 and 9860. 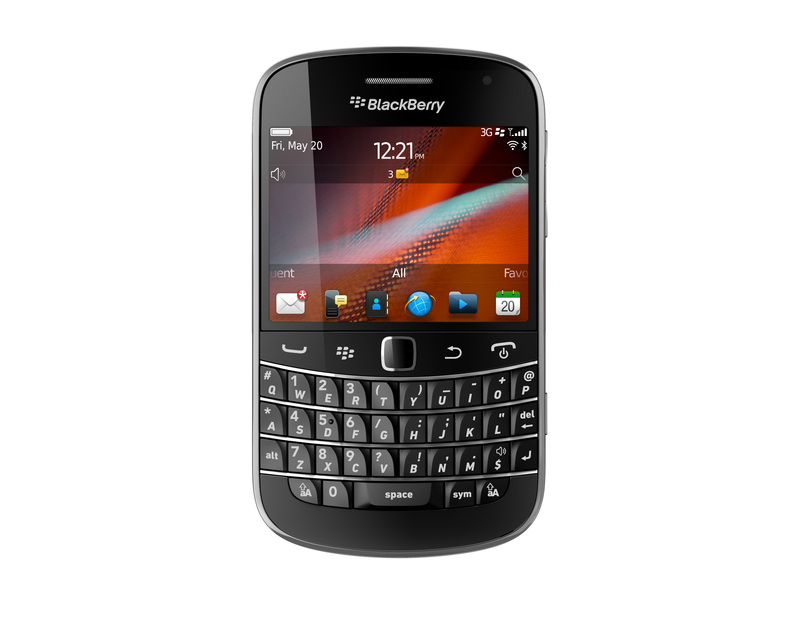 The three models offer consumers the choice between the classic BlackBerry keyboard (Bold 9900), a full touch-screen with no physical Qwerty keyboard (Torch 9860) and the best of both worlds – the Torch 9810 with both a full touch-screen and a slide-out Qwerty keyboard. 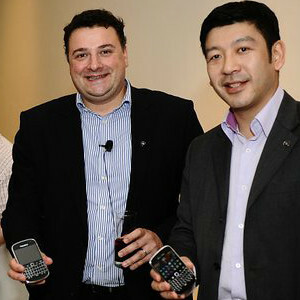 Francois Mahieu, Head of Product Management for RIM in Asia Pacific with the Bold 9900. I played with all three models and the immediate first impression was how light they were, especially when compared with previous models. The displays were crisp and clear and the touch screen was really responsive. Surfing the net on the phones was a breeze, with fast loading times. The new hardware, operating system and enhanced browser has indeed made a tangible improvement. The phones will be available from all three major telcos in Singapore – SingTel, M1 and StarHub. When queried, Mr Francois Mahieu from Research In Motion (RIM) said that for the moment, there were no plans to sell white versions of any of the three smartphones, even though he understands that it was a popular colour choice with consumers today. Mahieu is the head of product management for RIM in the Asia Pacific. 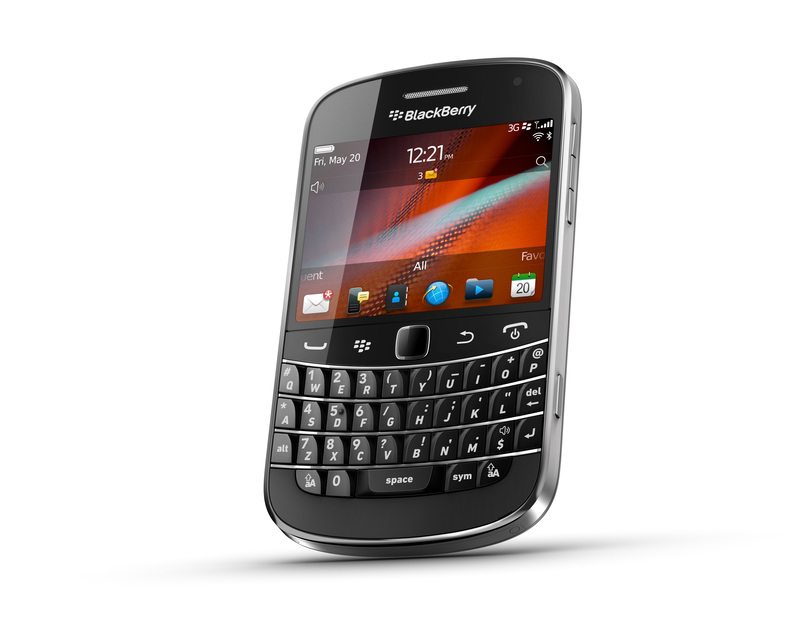 BlackBerry 9810 includes both the classic keyboard and a full touch screen. As with Apple’s iDevices, the new BlackBerry phones support HTML5 but does not play with Flash. In addition to supporting the new BlackBerry 7 OS, the smartphones include a 1.2 GHz processor, HD video recording, 24-bit high resolution graphics, and advanced sensors enabling new augmented reality applications such as Wikitude that can be seamlessly integrated with BBM 6. First announced in May, the BlackBerry 7 OS introduces a next generation BlackBerry browser with a significantly faster and more fluid web browsing experience. RIM reports that Internet browsing performance on BlackBerry 7 based smartphones are up to 40% faster than BlackBerry 6 based smartphones and up to 100% faster than BlackBerry 5 based smartphones. Research In Motion (RIM) is launching five new BlackBerry smartphones based on the BlackBerry 7 Operating System (OS) – two new BlackBerry Bold models (9900 and 9930) and three new BlackBerry Torch models (9810, 9850 and 9860). The improved performance of the WebKit browser engine is combined with the hardware enhancements to enable users to browse the web faster and more smoothly. Enhancements to the BlackBerry browser have also optimised zooming and panning for smoother web navigation and optimised HTML5 performance for better gaming and video experiences. RIM’s new BlackBerry 7 based smartphones also feature Liquid Graphics technology, with each smartphone combining a dedicated high-performance graphics processor with a fast CPU and high resolution display to deliver a highly responsive touch interface with fast and smooth graphics. For communications, BlackBerry 7 based smartphones feature the regular integrated suite of phone, email, messaging and social apps to keep users connected and productive throughout the day. Recent enhancements include the newest release of BlackBerry Messenger (BBM) which now extends the real time BBM experience to a range of other “BBM connected” apps. The updated Social Feeds (2.0) app has been extended to capture updates from media, podcasts, and favourites all in one consolidated view. The new Facebook for BlackBerry smartphones (2.0) app introduces features like Facebook chat and BBM integration that makes it easier for users to connect with their Facebook friends in real time. BlackBerry 7 OS also includes a number of other pre-loaded applications and integrated functionality for increased productivity and collaboration right out of the box. The Premium version of Documents To Go is now included free of charge, offering users powerful document editing features as well as a native PDF document viewer. BlackBerry Protect is also pre-loaded, offering customers the peace of mind that personal data can be backed up and secured in the cloud. BlackBerry Balance is now integrated in BlackBerry 7, allowing users to enjoy the full BlackBerry smartphone experience for both work and personal purposes without compromising the IT department’s need for advanced security and IT controls. The popular universal search capability has been enhanced with support for voice-activated search, so users can now simply speak to begin searching their device and the web for information. In its largest global launch of BlackBerry smartphones in its history, RIM announced the Bold 9900 and 9930, as well as the Torch 9810, 9850 and 9860. Research In Motion (RIM) today announced plans to launch five new BlackBerry smartphones based on the BlackBerry 7 Operating System (OS). RIM is rolling out two new BlackBerry Bold models and three new BlackBerry Torch models, all running the powerful new BlackBerry 7 OS. The launch of this family of handsets will be RIM’s largest global launch ever and more than 225 carriers and distribution partners around the world have already commenced or completed over 500 certification programmes for these 5 new handsets. Featuring RIM’s next generation of hardware and software platforms, these five new BlackBerry 7 based smartphones offer users a variety of designs to choose from. 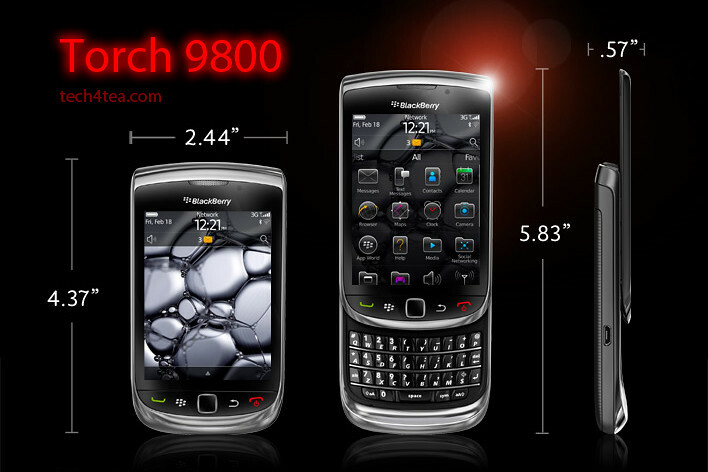 The new BlackBerry Bold 9900 and 9930 are RIM’s thinnest smartphones ever, each offering a large keyboard and brilliant touch display. 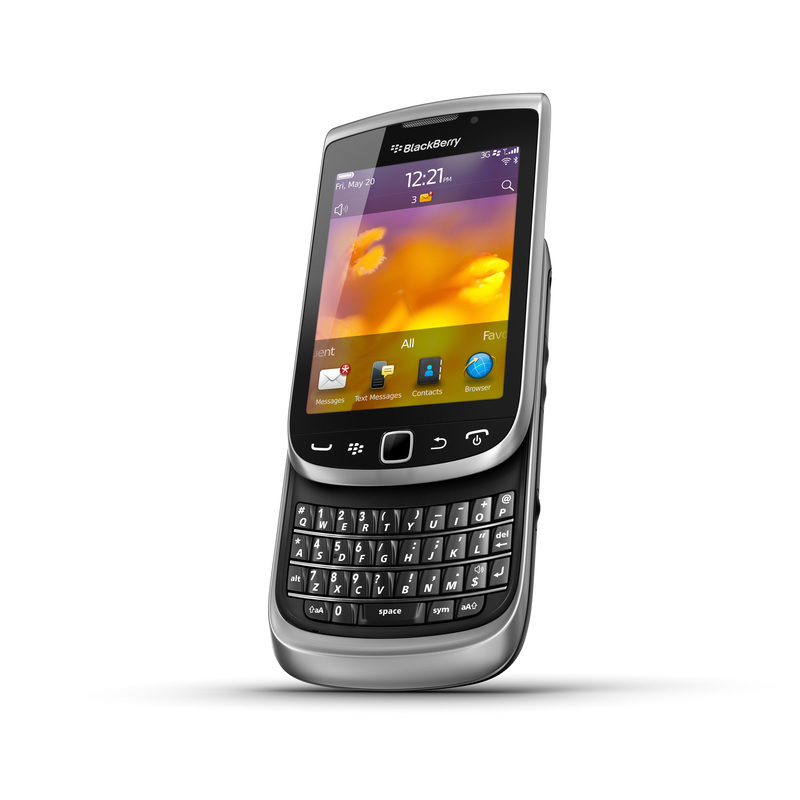 The new BlackBerry Torch 9810 smartphone builds on the popularity of the BlackBerry Torch 9800 and combines a large touch display with a convenient slide-out keyboard. The BlackBerry Torch 9850 and 9860 introduce an all-new, all-touch design featuring the largest display on a BlackBerry smartphone to date. “We think users will be thrilled by the faster performance, enhanced browsing and richer multimedia delivered by these powerful new BlackBerry Bold and BlackBerry Torch smartphones,” said Mike Lazaridis, President and Co-CEO of Research In Motion. The BlackBerry 7 OS introduces a next generation BlackBerry browser with a significantly faster and more fluid web browsing experience. The improved performance of the WebKit browser engine is combined with the hardware enhancements found in the BlackBerry 7 based smartphones. The new smartphones feature a 1.2 GHz processor, HD video recording, 24-bit high resolution graphics, and sensors enabling new augmented reality applications such as Wikitude that can be seamlessly integrated with BBM 6. The BlackBerry Bold 9900 series is the thinnest BlackBerry smartphone yet (at only 10.5mm) and was the first to offer the union of a high performance keyboard and touch display. The brushed stainless steel frame adds a nice finishing touch to the design. The new BlackBerry Bold 9900 and 9930 are also the first BlackBerry smartphones to include built-in support for Near Field Communications (NFC ), a new technology that is enabling many new and exciting capabilities, including the ability to pair accessories or read SmartPostertags with a simple tap of the smartphone. Building on the popular design of the BlackBerry Torch 9800, the new BlackBerry Torch 9810 is faster and more fluid with high performance hardware features and the new BlackBerry 7 OS delivering an enhanced multimedia experience. 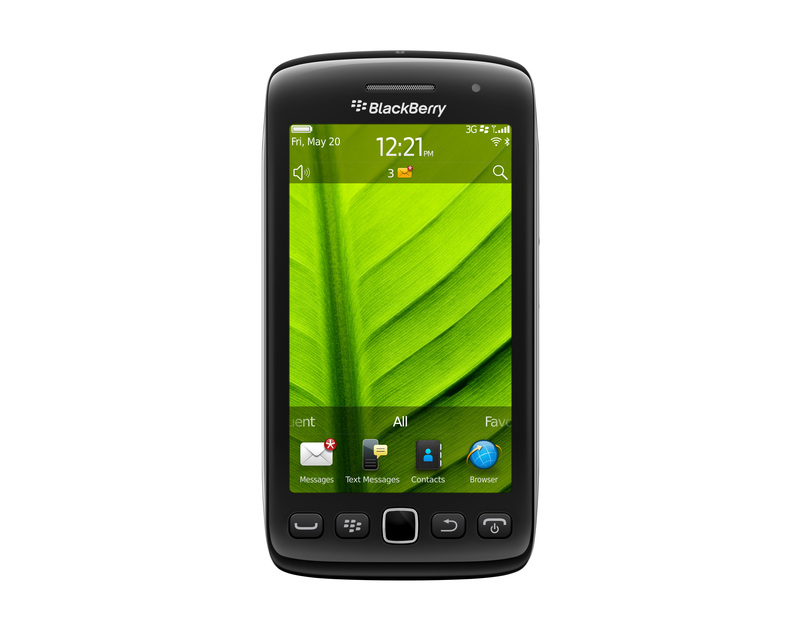 Featuring a large 3.2”, high resolution touch display and the distinctive BlackBerry keyboard that easily slides out to allow faster typing, the BlackBerry Torch 9810 offers users the best of both worlds. 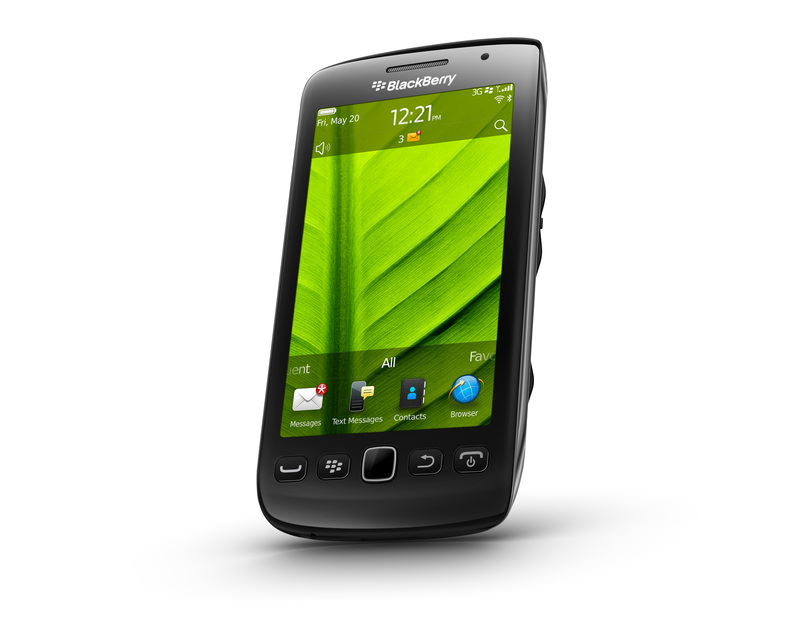 The BlackBerry Torch 9850 and 9860 smartphones offer the fast, fluid BlackBerry 7 experience in a new all-touch design. With a spectacular new 3.7” display, the largest ever on a BlackBerry smartphone, the new all-touch BlackBerry Torch 9850 and 9860 smartphones are optimised for displaying web pages, photos, videos, and powerful gaming experiences and still deliver quality real-time communication and collaboration experience. The next generation of BlackBerry smartphones will begin to be available from carriers around the world starting later this month. Availability dates for specific devices from specific carriers will be announced in conjunction with RIM’s partners. Research In Motion Limited (RIM) is a Canadian multinational telecommunications company that makes the BlackBerry PlayBook tablet computer, as well as BlackBerry smartphones. Along with the launch of the new BlackBerry 10 platform, President & CEO Thorsten Heins has announced that the company will change its name from Research In Motion to BlackBerry. RIM was founded in 1984 by Mike Lazaridis, who currently serves as its co-CEO along with Jim Balsillie. The company designs, manufactures and markets wireless solutions for the worldwide mobile communications market. The introduction of the BlackBerry solution in 1999 provides platforms and solutions for access to information, including e-mail, voice, instant messaging, short message service (SMS), Internet and intranet-based applications and browsing. Headquartered in Waterloo, Ontario in Canada, RIM operates offices in North America, Europe, Asia Pacific and Latin America. RIM is listed on the NASDAQ Stock Market (NASDAQ: RIMM) and the Toronto Stock Exchange (TSX: RIM). 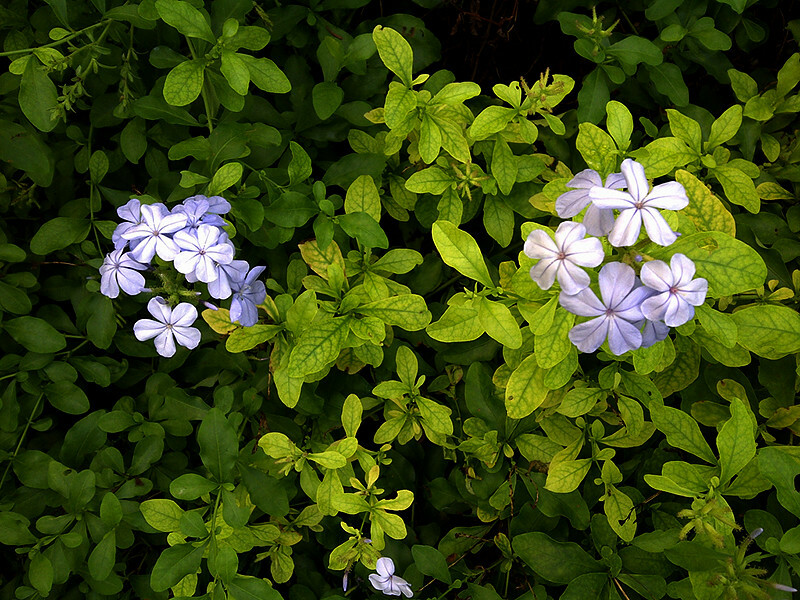 Click here to follow articles related to RIM and BlackBerry news and products on tech4tea.com. RIM touts the Torch as the best BlackBerry ever. I’ve been using one over the last two weeks. Indeed, it’s the best BlackBerry smartphone I’ve played with so far and I certainly prefer it over my wife’s BlackBerry Bold. The BlackBerry Torch was the first smartphone from Research In Motion (RIM) that shipped with the new BlackBerry OS 6. It has a completely new keyboard implementation – instead of having the physical keyboard and the screen share the face of the device, the Torch allowed the 3.2 inch screen to hog the entire front. BlackBerry Torch 9800 with 6.0 Operating System. An on-screen keyboard – which I found rather responsive – can be easily called up in case you need to type something. Need the traditional QWERTY keyboard to do some intensive typing? Slide it out from below the screen and you’re good to go. It’s a trade-off, whether you have the hard keyboard readily available all the time or hide-in below the screen to make for a bigger screen. For my usage profile, at least, I liked the balance – I do a fair bit of messaging and typing but I don’t mind having to slide out the keyboard when I need it – since I get a bigger screen real estate – 480×360 pixels on a 3.2 inch capacitive touch screen. I did find the Bold keyboard slightly easier to type than on the Torch, but both are far more tactile and better than typing on a touch screen. I suppose those who really have a lot of typing to do would rather have the keyboard available at all times – it depends on your usage profile. The Torch tries to give you both the large screen of the Storm and the popular hard keyboard in a compact body. The form factor is almost identical to many other BlackBerry devices like the Bold. The usual five buttons line the bottom of the screen: BlackBerry call, menu, back, and end buttons and optical trackpad. The Marvell CPU runs at 624MHz (though the company claims this is a newer generation chip), with 512 MB RAM and 4 GB of storage. You can add up to 32 GB though the microSD slot. The device also comes with 802.11b/g/n WiFi, Bluetooth 2.1 and an AGPS chip. The Torch has a 5 megapixel camera, with an LED flash. Photo quality was rather remarkable for a smartphone camera. I like the preset scene modes – Party mode for lowlight indoor shooting and Sports mode both yielded impressive results. Video wise, you can shoot clips at 640×480 resolution. With the new OS 6, web browsing on the Torch is now quite a pleasant experience using the new Webkit-based browser. Unfortunately, neither Flash nor HTML5 video are supported. I really love the persistent notification alert bar at the top of the home screen: the small row of icons allows you to see social networking, email, SMS, call, and calendar alerts all in one place. The bar drops down a separate window to show the list of notifications, each of which can be clicked on to bring you to the app. Another new feature I like is the universal search. Ever wanted to look for something you know is on your phone but can’t recall exactly where it is located and how to get at it? Simply begin typing the relevant search term into the search box and the Torch throws the icon for it right at you – almost instantaneously. It really beats having to wade through the menus and interface looking for contacts, messages, calendar, music or pictures. has included a powerful universal search alongside a social networking tool which allows you to aggregate RSS feeds and services like Twitter or Facebook into a single view. There are a lot of changes, so we’re going to go step-by-step through what we consider the biggest changes for the BlackBerry platform. As with other BlackBerry devices I’ve tested before, battery seems to last forever. Alright, that’s exaggerating. There were days when I ran Youtube videos and videos from the media folder for extended periods of time and the battery held out. Under normal usage, I only had to recharge the battery every few days. There’s been numerous leaks about what the upcoming BlackBerry smartphones lined up for 2011. One of them is the Torch 2. Expected to be announced during the BlackBerry World in May and released in the US in July, it looks physically like the Torch, but features a 1.2 GHz processor and a 640×480 resolution on a similarly-sized 3.2 inch screen. Going by previous BlackBerry release schedules, we’ll probably only see the Torch 2 in Singapore towards the end of the year. In the meantime, if you’re looking at replacing your current BlackBerry phone, do give the Torch a spin and see if it impresses you enough for you to pick one up as replacement. The BlackBerry Torch 2 is rumoured to be announced during the BlackBerry World in May and then go on sale in the US in July later this year. With the release of the PlayBook tablet next Tuesday in the US, RIM has a few more models in line to keep its fanbase riveted for the rest of the year. 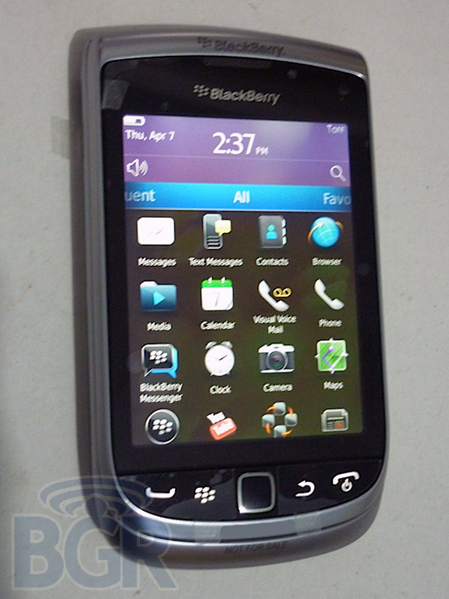 There has been plenty of leaks from RIM (Research In Motion) about upcoming BlackBerry models for 2011. These include the BlackBerry Touch (Monaco/Monza), Bold Touch, Storm 3, Bold (Dakota), Curve (Apollo), and the Torch 2. Having gotten hold of a Torch 2, BGR reports that the new device looks almost identical to its predecessor but features a significantly more powerful 1.2 GHz processor. Coupled with the BlackBerry OS 6.1 and a 3.2 inch 640×480 VGA display, it will be an exciting gadget to own. Processor power has been doubled from the current 624 MHz, and the 3.2 inch screen runs at a higher pixel resolution than the 480×360 pixels on the current BlackBerry Torch.